The TESS mission succeeded the famous Kepler Space Telescope and assists astronomers in discovering new planets. Now data from the TESS mission has helped researchers discover a Saturn-sized planet, giving researchers more insight into other exoplanets in the universe. Asteroseismologists, astronomers who study the seismic waves of stars that can be seen as changes in brightness, can often determine the properties of newly-discovered planets. A group of these astronomers worked together using the TESS satellite to discover the existence of a new planet called TOI 197.01 (TOI stands for “TESS Object of Interest”), while also determining the oscillation measurements of its host star. 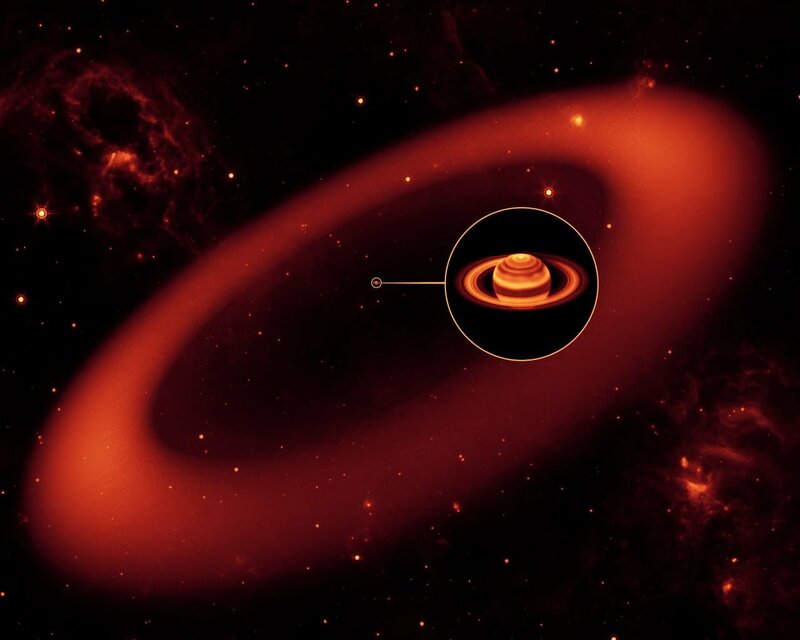 The planet is described as a “hot Saturn,” and is described in a new scientific paper which will be published in The Astronomical Journal as a joint work of 141 astronomers. “This is the first bucketful of water from the firehose of data we’re getting from TESS,” Steve Kawaler, a professor of physics and astronomy said in a statement. TESS mission stands for Transitioning Exoplanet Survey Satellite which is monitored by astrophysicists from the Massachusetts Institute of Technology. It was launched in April 2018 from Florida’s Cape Canaveral Air Force Station. To discover new planets, researchers study the images provided by TESS and look for transits, a small dip in the star’s light which is caused by the passing of another planet. The Kepler Space Telescope, the predecessor of the TESS, used the same methods to discover thousands of new exoplanets, although was only able to scan a much smaller area of the sky compared to TESS. Steve Kawaler, a professor of physics and astronomy, witnessed the launch of Kepler Space Telescope and came for the launch of TESS and is a member of TASC Board. TASC astronomers use asteroseismic modeling as the approach in discovering new planets, and can help researchers determine the radius, mass and age of host stars of the discovered planet. As to the host star TOI-197, asteroseismologists observed oscillations which revealed that the star is five billion years old and much heavier and larger compared to our sun. The oscillations also revealed that TOI-197.01 is a gas giant with a radius nine times that of Earth, with a mass 60 times that of Earth, making it around the size of Saturn. Moreover, the recent findings introduce new ways to work with TESS in the future, thanks to the discovery of the Saturn-sized planet. “TOI-197 provides a first glimpse at the strong potential of TESS to characterize exoplanets using asteroseismology,” the astronomers wrote in their paper. Kewaler is hopeful that the new data incoming from the TESS mission will also help discover much more about the Saturn-sized planet, as well as some new planets.